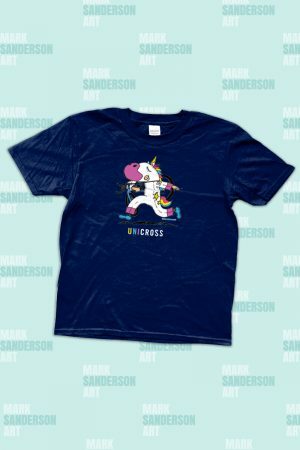 Kids can now celebrate unicorns and cyclocross with my 'UNICROSS' tshirt. Created for the 2nd round of the CCXL which was held in the same location as the UCI World Cup Cyclocross 2014 race, Campbell Park, Milton Keynes. For sizing see the diagram in the photo thumbnails. 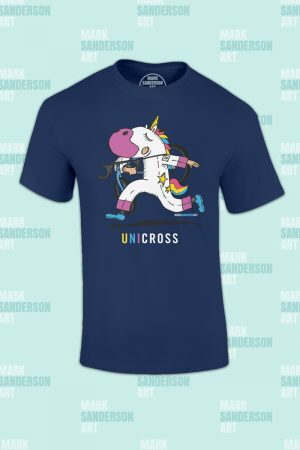 Celebrate unicorns and cyclocross with my 'UNICROSS' tshirt. 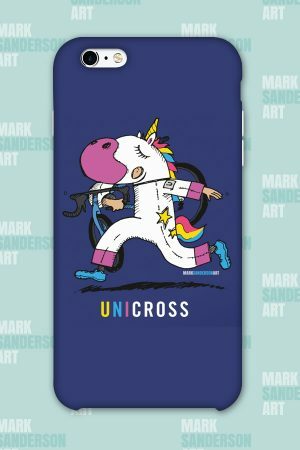 Created for the 2nd round of the CCXL which was held in the same location as the UCI World Cup Cyclocross 2014 race, Campbell Park, Milton Keynes. For sizing see the diagram in the photo thumbnails. 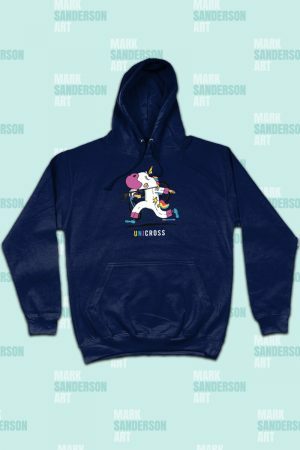 Celebrate unicorns and cyclocross with my ‘UNICROSS’ hoodie. Created for the 2nd round of the CCXL which was held in the same location as the UCI World Cup Cyclocross 2014 race, Campbell Park, Milton Keynes. For sizing see the diagram in the photo thumbnails. I'm a big fan of cycling, and especially the wonderful world of cyclocross. 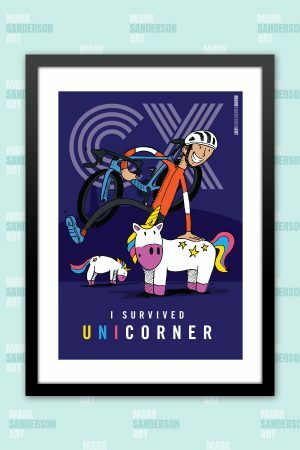 This was a special edition illustration produced for the 2nd Round of the 2018 Central Cyclocross League, CX in the City. The same location as the 2014 UCI Cyclocross World Cup, Campbell Park in Milton Keynes. Available only as an A4 print with numbers limited to 50, each one is numbered and signed by me. 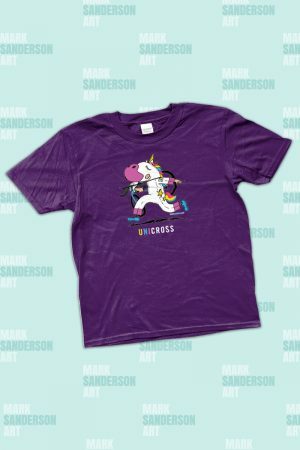 All are printed with non-fade inks on a fantastic quality paper. 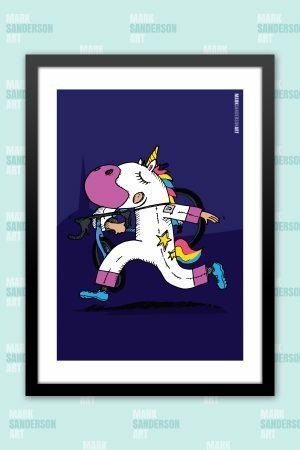 You can also choose to have it framed in a simple A4 black frame. If you would like an alternative colour please email me to discuss.